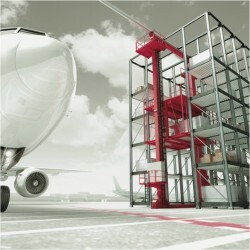 Concentrated expertise in air cargo intralogistics. AMOVA and Unitechnik Systems are combining their expertise in the field of plant engineering and automation in the airport sector under the brand name ACUNIS. ACUNIS stands for air cargo intralogistics and specializes in innovative and efficient solutions in the area of air cargo management. 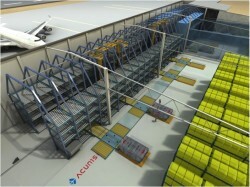 ACUNIS supplies turnkey solutions for air cargo terminals. 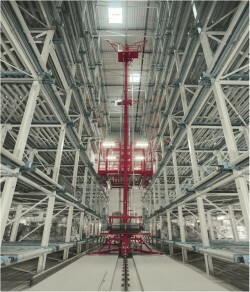 The products and services range from the complete engineering for a cargo terminal, through high-bay storage systems, elevating transfer vehicles (ETVs), conveyor and handling equipment and work stations complete with automation and warehouse management system to assembly / installation and commissioning. Here we assist you at every stage of your project. AMOVA GmbH (formerly known as SMS Logistiksysteme GmbH), based in Netphen (Germany), has operated in the field of intralogistics for over 50 years and can point to numerous reference projects, including airport logistics. AMOVA is part of the SMS group, a group of internationally operating companies supplying plants and machinery to the steel and NF metals industry, employing over 13,800 people worldwide and generating yearly sales of about 3.5 billion euro. The SMS group has behind it decades of experience in the management of major international projects, its own workshops in Germany, India, China, the USA and Brazil as well as a global network of certified production companies. Unitechnik Systems GmbH, based in Wiehl (Germany), has been a leading provider of industrial automation and IT systems for four decades. This company now led by the second generation of the same family plans and implements custom-built systems for intra-company logistics, cargo systems and production. At the same time Unitechnik operates internationally as a systems integrator and single-source supplier. Professional project management and proficient support for the systems supplied are the basis of long-term business relationships and safeguard customers‘ investments. This company group has sites in Germany, England, Dubai, Switzerland and Australia. Unitechnik’s references include reputable companies like BMW, Turck, LSG Sky Chefs, Soennecken and Tchibo.